<What we’ve been up to – Meld Photo Walk! AS winter kicks it up a gear, so do the nasty cold and flu bugs. Carene Chong gives you tips for fending them off and staying at the peak of health this cold season. Anyone who’s spent some time in front of the telly would have noticed the increase in the number of cold and flu medicine ads recently, and with good reason too. Winter is the time of the year when attendance at work or school tends to drop as more people fall victim to the flu virus. So how do you keep your guard up against the nasties? We chat to nutrition consultant Tracie Hyam to get some easy to follow advice. While this tip should really be taken on board all year round, it’s especially important to up your intake of healthy foods in winter. Tracie suggests including a variety of vegetables, wholegrain breads and cereals, lean meats (and meat alternatives), legumes and fruits in your daily diet. “You can’t beat the nutrients and fibre found in the wonderful winter vegetable produce, which can help strengthen the immune system and keep you feeling well,” she says. Tracie suggests checking out websites like the Seasonal Food Guide to find out what vegetables are in season as they are usually cheaper to buy. Chocolates, lollies and soft drinks will unfortunately have to take a backseat. This is common sense, but often people just don’t pay enough attention to hygiene and then whinge when the sniffles happen. According to Tracie, washing your hands should not only be done at necessary times, like after a restroom visit, but throughout the day as well. “This is one of the best and easiest practical measures to apply that will help prevent the spread of germs, including the spread of cold and flu bugs. “It’s important to wash your hands for at least 20 seconds with soap and dry well,” she says. 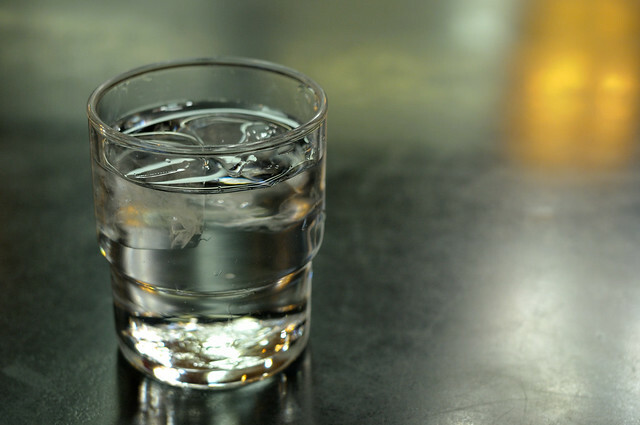 Before you get too excited, we’re talking about water and not alcohol. Plenty of fluids everyday will help the kidney do its job of flushing toxins out of the body. “Remember to drink the recommended eight glasses (two litres) a day, even when the temperature drops outside,” Tracie adds. Sure, you might need a mint or two after your meal, but there is a very good reason why garlic has been used as a medicinal food for more than 5,000 years. From minor illnesses like the cold to the bigger baddies such as cancer and high blood pressure, the almighty garlic has helped mankind combat a plethora of diseases. “Garlic is a powerful antibacterial food and is known to strengthen the immune system,” Tracie says. “Vitamin C and zinc are powerful tools to help strengthen the immune system and get you recovering from feeling run down,” Tracie says. For your daily recommended dose of vitamin C, include plenty of citrus fruits in your diet such as oranges or lemons. As for zinc, a nice piece of lamb or beef steak will do the job. While fresh food is the best and most natural way to obtain your nutrients, there is nothing wrong with taking supplements to achieve that. Better yet, look for supplements that contain both nutrients so you get all the c’s and z’s you need to stay healthy. Speaking of z’s, nothing gives the body the energy it needs to fight off illnesses like a good night’s rest. Tracie suggests seven to eight hours of sleep every night for optimal functioning of the body systems, however tough that may be for students. “Tips for a good night sleep include eating dinner at least two hours prior to bed and avoiding alcohol and caffeine approximately three to five hours before bed,” she says. Exercise is another must for a healthy body, even in the depths of winter when moving about is the least favourite thing to do on your list. Tracie suggests 30 minutes of exercise a day at least, whether it be walking from point A to B or doing your favourite sport. “The 30 mins doesn’t have to be consecutive either,” she says.